The 10th Parliament opened in Grenada on Friday with a promise from Governor General Dame Cecile La Grenade that the New National Party (NNP) administration which returned to office on 13 March will focus on 4 main areas for the 1st session of parliament. 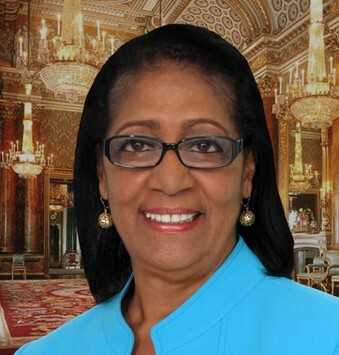 “Consistent with the promises made the to the Grenadian people, my government’s main focus for this session of parliament will be to continue the transformations of our society, secure the welfare of our people, efficiently manage our economy to ensure the creation of jobs and reduction in unemployment and to promote economic growth and social progress,” Governor General, Dame Cecile La Grenade said in the traditional Throne Speech which signals the start of a parliament session. All 28 members of parliament of the houses had earlier took their oath of office and returned Michael Pierre and Chester Humphrey as Speaker of the House and President of the Senate respectively. Informing the joint sitting of both the Lower and Upper House that her government understands that if a democracy is to function effectively the people must be placed at the centre of the decision-making and development process, she said that despite parliament does not have an elected opposition, government is committed to ensuring that the voice of the 20,000 plus who voted for the main opposition National Democratic Congress (NDC) is heard through the social compact. The social compact is a group of stakeholders from every sector that meets monthly and government share with them information about taken by cabinet for the development of the country. It was established following the 2013 General Election as a result of not having an elected opposition in the parliament. It is chaired by Prime Minister Dr Keith Mitchell. “In the absence of a formal parliamentary opposition, my government is again inviting the largest opposition political organisation to join the partnership, and take their rightful place at the table, so as to give full and formal effect to the voices of over 20,000 brothers and sisters of this nation,” she said while providing more information about the goal of transforming the society. In the area of securing the welfare of the people, the head of state said that making services available to those without access is important and necessary, and her government working toward having readily available services. She also promised that government would focus on legislation that will result in restoring pension for public officers and at the same time ensure that citizens benefit from national health insurance. It was disclosed that the gains achieved during the structured adjustment programme would be secured to ensure that Grenada takes care of its affairs. “My government has repeatedly said that those gains were achieved by different sectors working together, and by prudent fiscal management and oversight. It is in light of this that my government will continue to strengthen the legislative framework necessary to ensure that the benefits of the homegrown programme are safeguarded for sustainability are also able to reach every sector of our population,” she said.